As part of the American Deluxe Series, Fender continues to regularly introduce instruments which combine the long tradition of guitar making with state-of-the-art technology. The results are instruments with classic sounds and modern features which meet the demands of today’s musicians. The American Deluxe Dimension Bass V is first model in a long time to be completely developed from the ground up that is able to impress with its versatile character. The body made from Ash with a 5-point bolt on Maple neck promises a firm ground sound with precise definition, which also manages to effortlessly deliver the high dynamics on the low E string. The indestructible structure of the Hi-Mass bridge supports and enriches the sound with long and uniformly decaying sustain. The asymmetrical C profile of the neck and the increasing compound radius from 9” to 14” (229 to 355mm) provides modern playing comfort, ensuring for the ideal foundation for almost any genre. Solos that wander into the highest frets are made easier with the rounded neck/body transition and the wide cutaways of the Dimension Bass. The low E string is given natural dynamics and harmony in the sound spectrum. For even more sound manipulation, this bass is also equipped with an active 3-band equalizer. 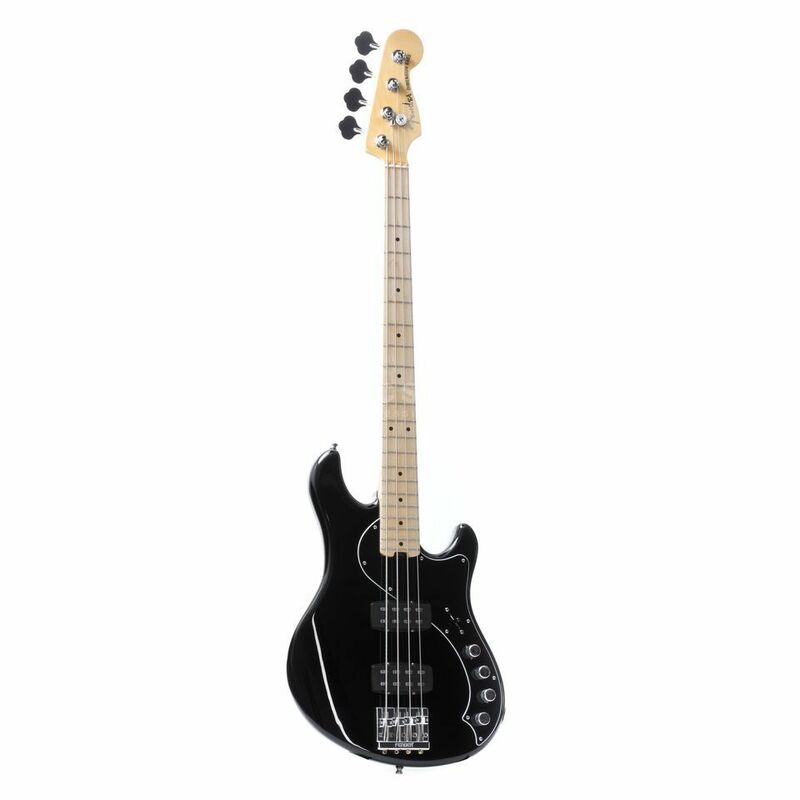 Light weight fender tuners reliably prevent top-heaviness and guarantee great tuning stability, and together with strap locks from Schaller round off the package of the Fender American Deluxe Dimension Bass V.